Is the Lloyds Avios credit card worth getting? Which is better – the Lloyds Avios Rewards upgrade voucher or the BAPP Amex 241? The received wisdom, prior to the 2015 Avios devaluation, was that the British Airways Premium Plus American Express 2-4-1 voucher was the best thing since sliced bread whilst the Lloyds Avios Rewards credit card upgrade voucher left something to be desired. The 2015 changes to Avios reward pricing meant that the relative value of the two vouchers changed. It often takes time for long-held opinions to change, even when the underlying facts are now different. 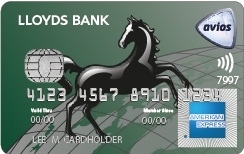 Is the Lloyds Avios Rewards card still second fiddle to the BAPP Amex 241? 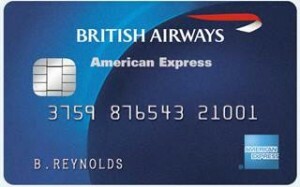 In support of the British Airways Premium Plus American Express 2-4-1 voucher …. Let’s summarise the deal with the BA Amex card. When you spend £10,000 on the Premium Plus BA American Express card, you get a 2-4-1 voucher valid for TWO years on an Avios redemption in ANY class. The voucher on the free BA card is less attractive. This article (click) explains why you should NOT try to earn a 2-4-1 voucher on the free British Airways Amex card. What happened with the 2015 Avios devaluation? In some ways, the 241 voucher became MORE valuable. As Club World to New York jumped from 80,000 Avios to 120,000 (peak) or 100,000 Avios (off-peak), the voucher is saving you more Avios! In other ways, the voucher is LESS valuable. If you can no longer earn enough Avios each year to use it in Club World or First, you may use it for a less attractive redemption (say, World Traveller Plus or Club Europe) where the value you are getting per Avios point is lower. In general, the BA Amex has NOT got less valuable. It is simply that the Lloyds card has got more valuable. In support of the Lloyds Avios Rewards upgrade vouchers …. Following the scrapping of the Premier card earlier this year, there is now only one version of the Lloyds Avios Rewards card. It comes with a £24 annual fee and offers you a voucher to upgrade a return reward flight – or two one-way flights – by one class when you spend £7,000. Let’s be clear about one thing. It is NOT an ‘upgrade’ voucher, despite the name. It is a voucher which lets you book a redemption flight for the miles of a cheaper class. You do NOT need Avios availability in the cheaper class, just in the class you want to fly. For example, if you want to fly Club World, you do NOT need to find reward space in World Traveller Plus to ‘upgrade’. You only need reward space in Club World, for which you are charged the World Traveller Plus price. The Lloyds upgrade voucher would previously have saved you 20,000 Avios if travelling to New York in Club World, whilst the BA Amex 241 would have saved you 80,000 Avios. Remember that Club World was 80,000 Avios and World Traveller Plus was 60,000 Avios. Put crudely, before April 2015 the BA Amex 241 was 4 x better than a Lloyds upgrade voucher. Today, if travelling to New York in Club World, the Lloyds voucher saves you 40,000 Avios on a peak day and 48,000 Avios on an off-peak day . The BA Amex 241 voucher will save you 120,000 Avios on a peak day and 100,000 Avios on an off peak day. This has substantially increased what you can save. Put crudely, after April 2015 the BA Amex 241 is now only 2-3 x better than a Lloyds upgrade voucher. Lloyds Avios Rewards – pay a £24 card fee and spend £7,000 across either the Amex or MasterCard and one person travels for 52,000 Avios (the WTP cost). The other pays the standard price of 100,000 Avios. You save 48,000 Avios. The British Airways Premium Plus option is STILL the best deal for a couple, I think. It has never made sense for a solo traveller – the best options if you travel alone are in this article. However, you are restricted to one BA Amex voucher per person per year. A couple can have a Premium Plus card each, of course, but you are then looking at £20,000 of Amex spend per year to trigger both vouchers – this is not easy. A more interesting scenario would be to get the Lloyds Avios Rewards card and use it ALONGSIDE your British Airways Premium Plus card. Between the second and third points above, triggering the upgrade voucher at £7,000 should not be too difficult. It should not make a big difference to how long it takes to trigger the voucher on your BAPP Amex if you have close to £7,000 of annual overseas spend or spend at ‘non Amex’ retailers. Don’t cancel your British Airways Premium Plus American Express. The 2-4-1 voucher, for a couple, remains the best deal available on ANY loyalty credit or charge card. The Lloyds Avios Rewards card has a decent claim for being added alongside it. Whether you should do it depends on how many Avios holidays you book per year, how much money you spend on credit cards per year and whether you would prefer to push MasterCard or Visa spend towards a non-Avios card instead (eg Hilton, IHG – the best MasterCard and Visa cards are in my article here). Air Berlin files for insolvency - what happens next? Slightly OT… but look for some advice around BA amex cancellation…. I cancelled my BA PP amex card at the end June, but it still appears in my account as “cancelled” as I have a gold charge card… my question is, does this affect the original cancellation date on the card, with regards to re-applying for another card in 6m (end of Dec) to receive the signup bonus? Or do you have to completely close my amex online account? Just close card account. Nothing to do with online account. You can remove the cancelled card from your online account (see drop downs at top). Hi I just downgraded from black to blue. do u have to use the voucher first before u can fully cancel the free card too? Does the six month rule apply to the black card now or only my blue ? Voucher will stay valid in your baec. You can use any Amex to lay the fees when using your 241. You must wait six months after cancelling either card or indeed any card of an equivalent category before reapplying. That’s if you want the bonus. So rule applies to the most recent card. But you can refer your partner etc for either card and ger referral bonus. If my wife and I have our own BAPP cards and each of us have generated a 2-4-1 voucher, so we have two vouchers in total, is it possible to use them to make one reward travel for 4 people (wife, 2 kids, me)? My doubt is because 1 voucher is under my name and the other under my wife’s. We have Household account. Thank you. Yes it’s possible. But you have to call up BA to do the booking, if you all want to fly together. It needs to be 2 separate bookings (you + kid, wife + kid) which means 2 separate ticket references. This isn’t a problem UNLESS one of you has BA status. In that scenario, only that person and their flying partner would get free seat selection – the other two would need to pay. Apart from that, having to make 2 bookings makes no difference to anything. Regarding the Lloyds upgrade voucher, how does it work when you have a connecting flight on your booking, so for example Newcastle – London – New York return, is it possible to choose the two sectors you wish to upgrade? which would obviously be the long haul sectors! They’ll all be in the higher class, so CE for the regional legs and CW for the longhaul. It’s just the same policy as making a CW booking, the difference is you then only have to pay the WTP level of Avios. Hi Rob, I currently have an upgrade voucher earned from LLOYDS AMEX CC. I’m wondering if I apply for BAPP then obtain a companion voucher later, is it ok to combine these two vouchers together for a trip for me any my partner? For example, I book a return trip via my upgrade voucher via Avois, and using the companion voucher at the same time for my partner? I doubt it but just want to confirm with you. Many thanks. No, you can’t combine these two vouchers on one booking. Thought so, but thanks for the confirmation. I am looking to use the 241 for the first time, to JNB / CPT in First. I think ive got my head round the booking process and hassle of inbound – outbound – T355 etc but, there seems to be little/no availability in First and ‘some’ availability in Club. Is it possible to book in Club, then change to First if and when availability opens up later? If so, what would be the best way to do this? Just check online every day? I can search for seats and get alerts (option of paying .99c for specific seats etc) for availability, but can I search for avios availability with the free version?